Last year Shelby, a big name for the Ford Mustang, came out with the +700hp Super Snake to shake everyone's socks off. 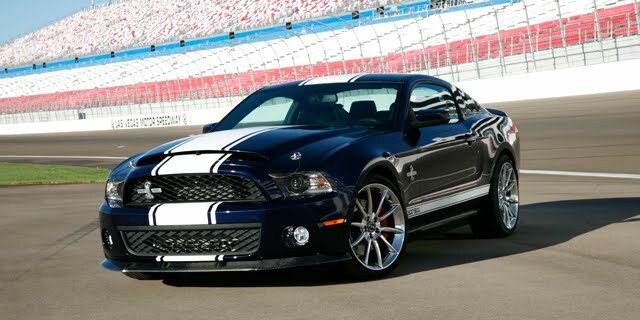 Well this year at the New York Auto Show this month, the historic Shelby Mustang is getting 800hp. Apparently the 2011 model wasn't enough for the Las Vegas based modifier. The base modle of the Super Snake is the Shelby GT500 which will cost you almost $83,000 and will get you 630hp and you get no warranty. 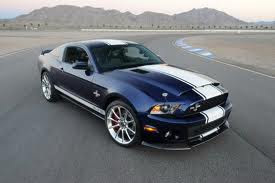 But by spending just under $100,000 you can boost the power to 800hp to show your neighbor what you are really made of. Hopefully still coming with the Pirelli P-Zero's and stylish 20's with the Super Snake name, you will be able with the upgrade to get the Borla exhaust, fiberglass hood, six-piston brake calipers and of course upgraded suspension to help put the 800 horses to your favorite tarmac.